However, because it’s so popular, it can be very crowded. 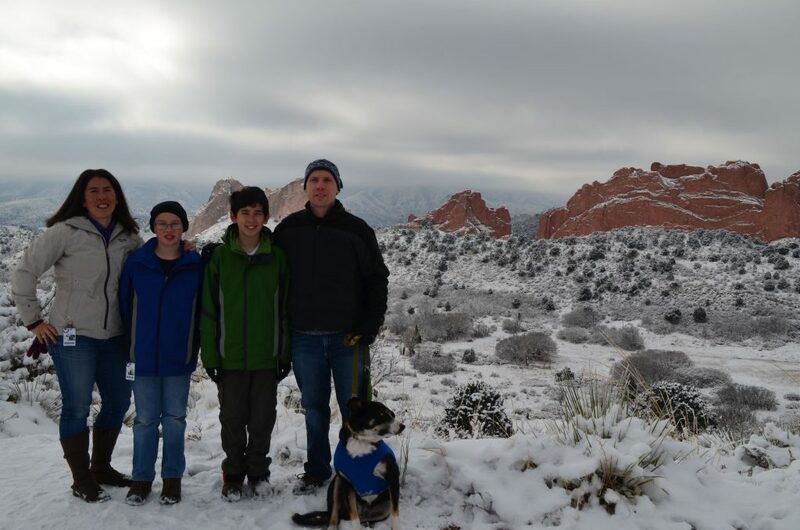 We even took our family Christmas card photo at Garden of the Gods. Can you feel the chill? 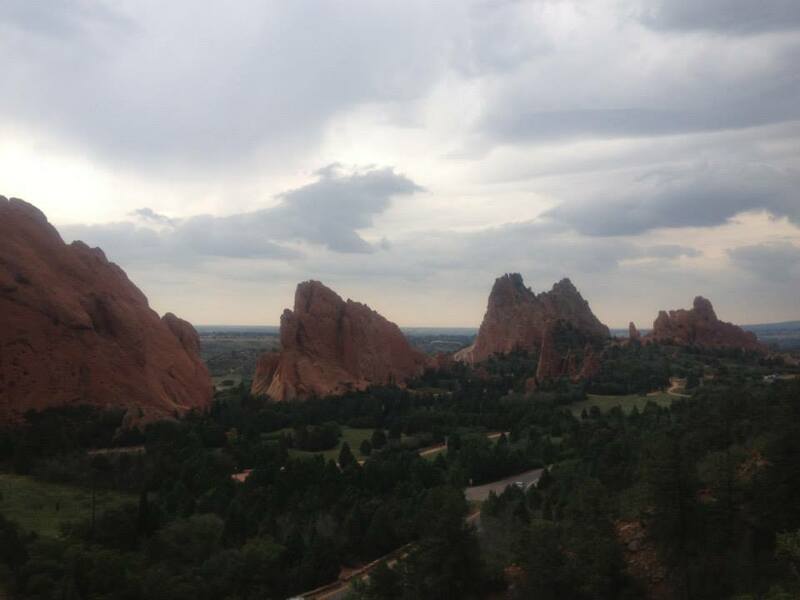 A normal warm-weather day in the “Central Gardens” part of Garden of the Gods. It’s quite crowded. This was on a Friday morning. 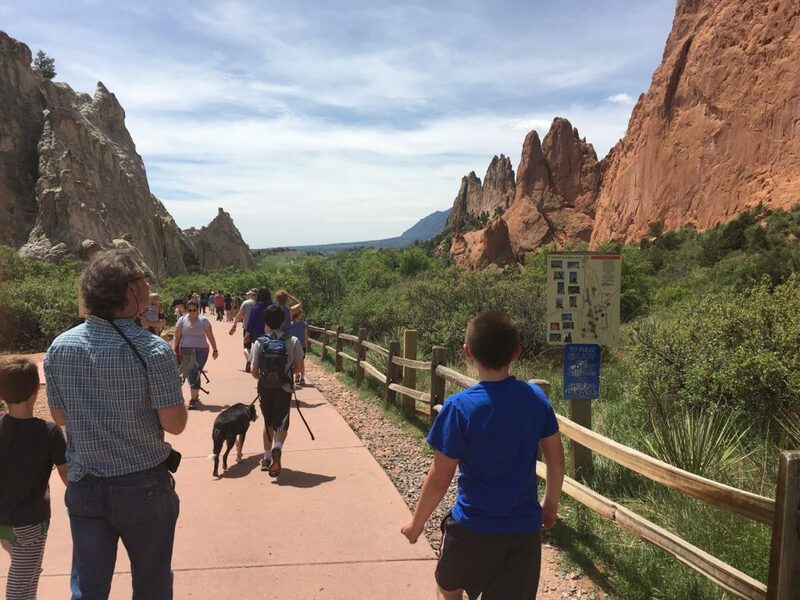 Our family absolutely loves visiting Garden of the Gods year-round, but during the warmer months it can get very crowded. We have learned to avoid the “Central Gardens” area altogether and have been able to explore the perimeter trails that take you elsewhere in the park. Our favorite is called the Palmer Trail. Visitors can access one end of the trail from the northernmost parking lot (the first parking lot when you enter the park): head north and cross the street from the northwest corner of the parking lot. Check this map to see an idea of where the trail goes; the trail goes off to the left from the tip of the arrow that says “Main Parking Area.” You can also pick up the trail easily from the Central Gardens on the western side of the Central Gardens. The Palmer Trail circumvents the main central gardens (the biggest rocks) along the west side and takes you up HIGH over the main gardens. The view of the central gardens from the Palmer Trail. 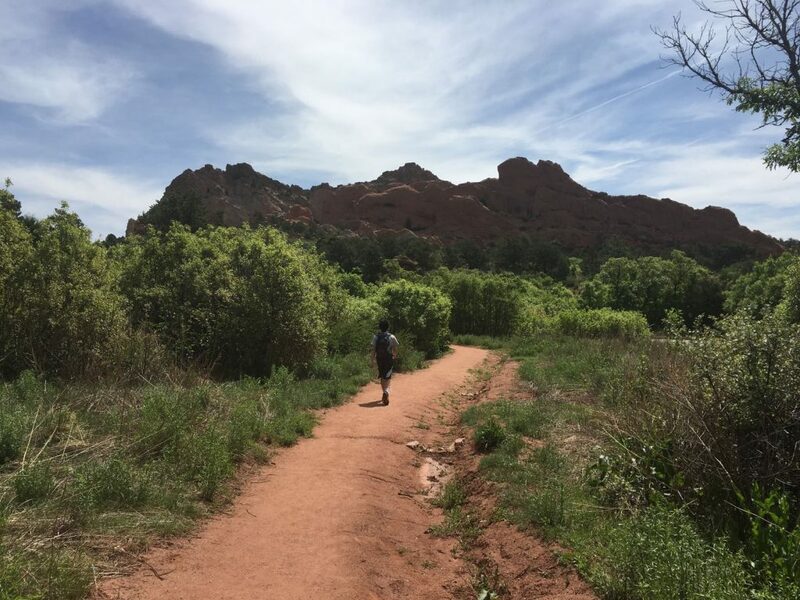 This trail is unpaved, but has some areas of shade, lots of rocks for kids to climb on, and plenty of terrain to get a true workout. Leashed pets are welcome on the trail, be sure to take baggies to clean up after them. 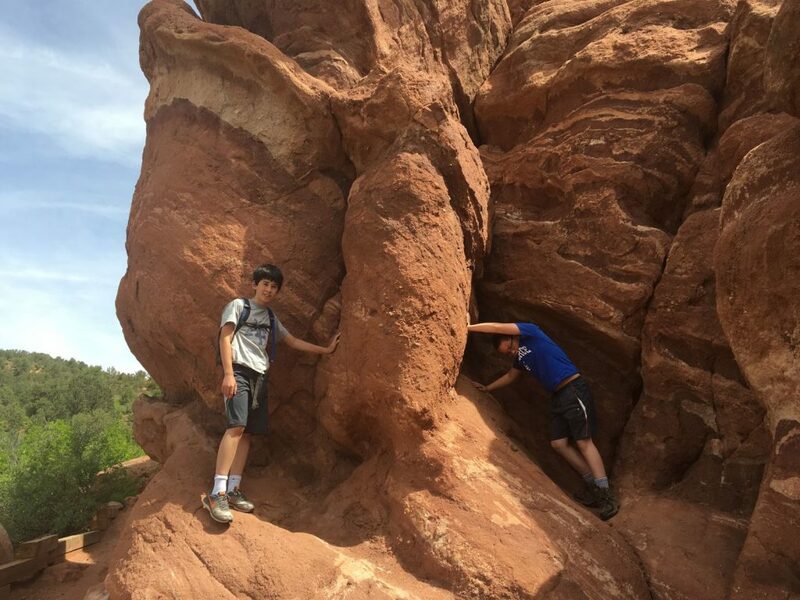 The boys really enjoy climbing all over the rocks. 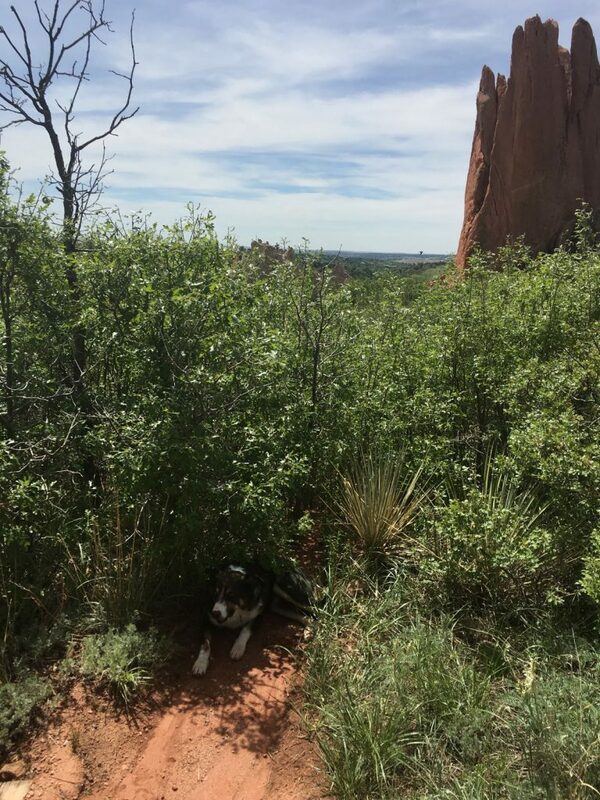 Ranger really enjoys hiking with the family….don’t forget water for your pets in the summertime! On our hike in June, Timmy kept asking me to take his picture. I particularly like this one of him on this rock with the mountains behind him. I am facing south. Towards the end of the hike, Ranger started seeking all the shade he could. 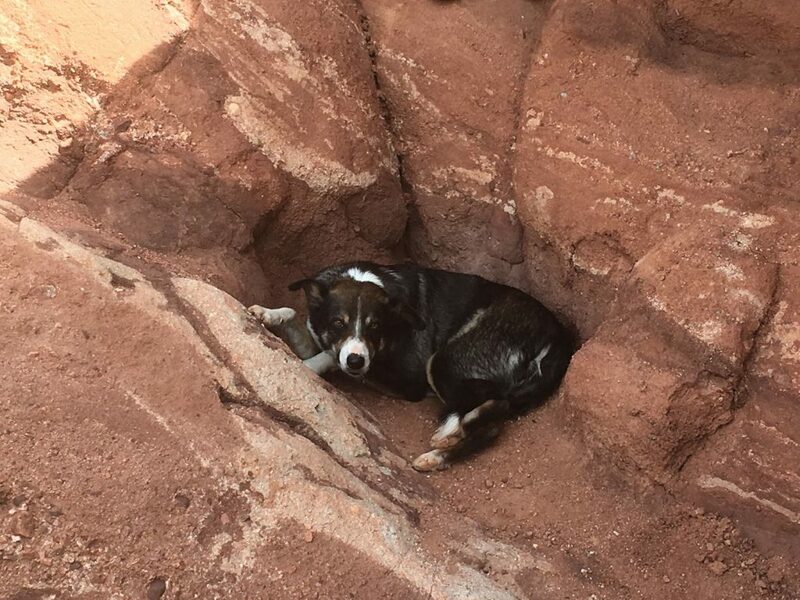 Can you find him here? It’s like a Finding Momo picture! The “Palmer Trail” itself is about 1 1/2 miles total length, but to get back to the car, you’ll have to turn around. This is what our family prefers to keep in the shade and away from the crowds. At the southern end of the Palmer Trail, there are several trails you can pick up to loop around the southern, then eastern sides of the main gardens, but the eastern side is much sunnier. Be sure to pack sunscreen and plenty of water. 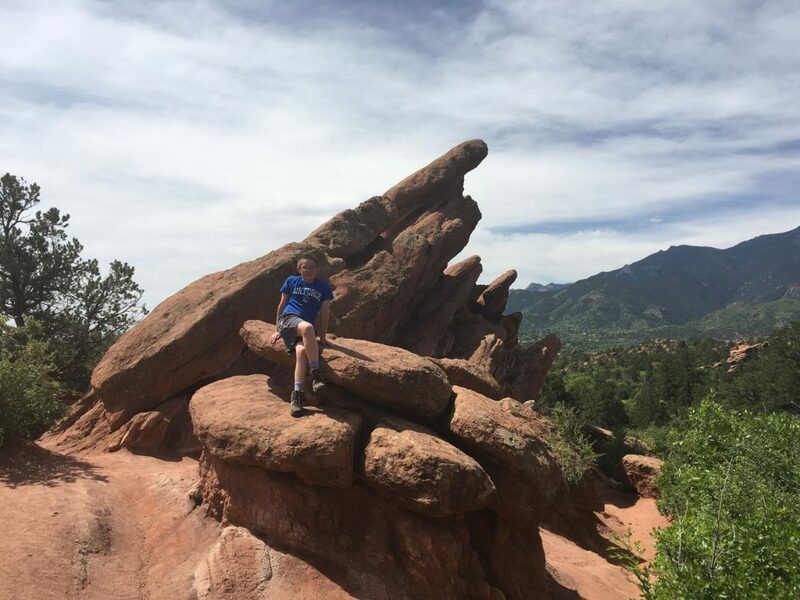 So if you are at the Garden of the Gods in Colorado Springs and find the Central Gardens too crowded, be daring and explore the other trails in the park. There are so many to choose from—it’s less crowded and gives you some amazing views of the park!